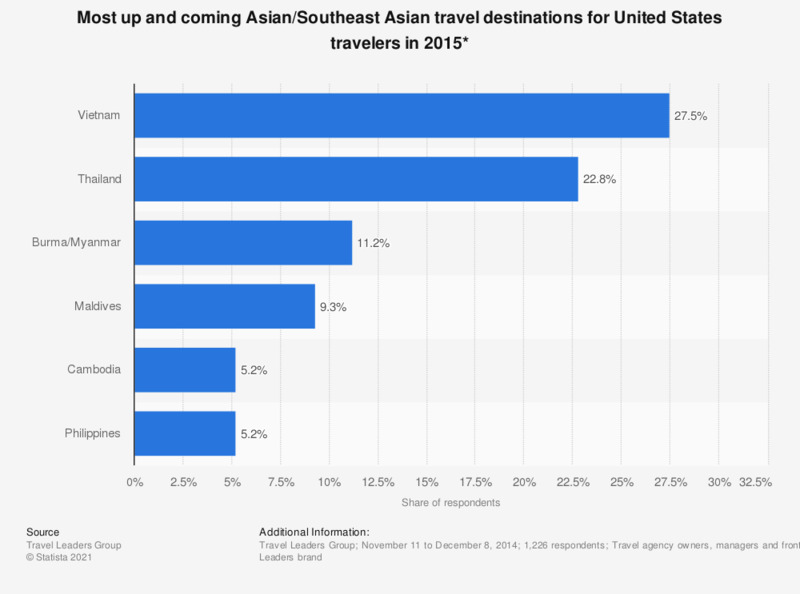 This statistic shows the most up and coming Asian/Southeast Asian travel destinations according to Travel Leaders Group for United States travelers in 2015. During the survey, 27.5 percent of respondents stated that Vietnam was the most up and coming travel destination in Asia/Southeast Asia for 2015. Survey based on actual booking data.